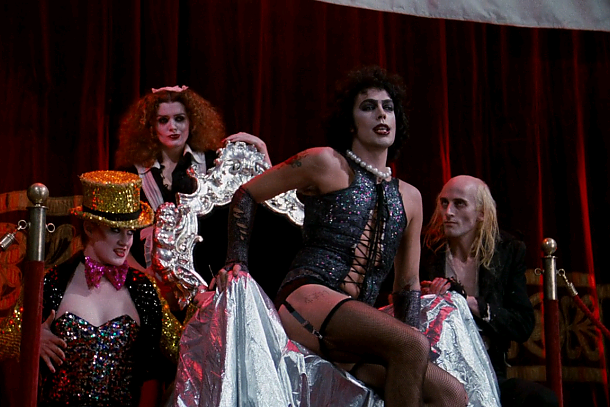 Well folks, it’s October again, which means that it’s The Rocky Horror Picture Show (1975) season. For the uninitiated, The Rocky Horror Picture Show was a movie bred of a love of B horror movies, science fiction and campy musical theatre. 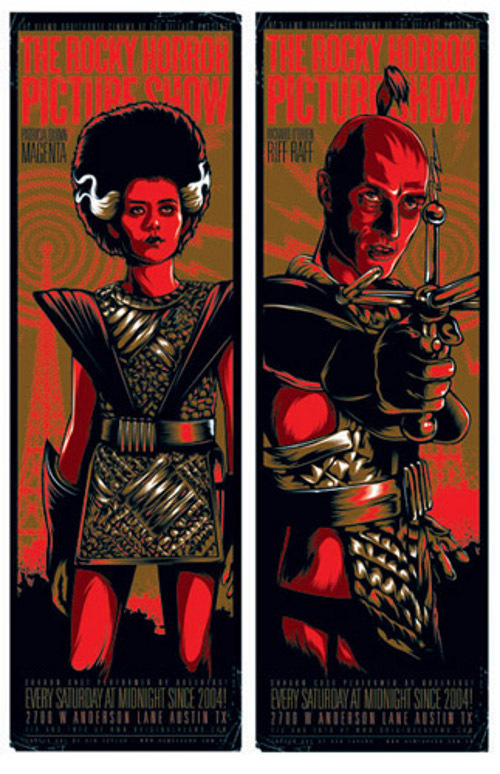 Billed as a Science Fiction/Double Feature, the movie is described by Richard Hartley, the composer, as “Frankenstein with a twist” (Abbott 2013). The film follows Brad Majors and Janet Weiss, who stumble upon a castle full of Transylvanians, the most notorious of whom being Dr. Frank-N-Furter, a self-described “sweet transvestite.” The movie is thoroughly steeped in horror history, filled with metareferential, self-parodying moments and characters, including Riff Raff, Dr. Frank-N-Furter’s handyman. Apart from being a humorous homage to early science fiction and horror films, the movie delightfully subverts the expectations of the genre and defies categorization, telescoping from space opera to punk rock musical. Rocky Horror’s staying power comes from the annual live performances staged throughout the country. While the movie is played on a cinematic screen, real-life doubles perform the parts, coaxed along by audience participation. There is an entire repertoire of call and responses for the audience, which have been spawned over decades of live performances. A script of the audience’s lines (which admittedly have changed over the years and across geographic localities) can be found here. Experienced Rocky fans will also bring along the necessary props, including toast, umbrellas, bubbles and newspapers. Rocky Horror “virgins,” however, have to undergo an initiation ritual, although the hazing might be more comfortable if you dress appropriately—in lingerie and corsets. The shows are typically held at midnight throughout the month of October, particularly around Halloween. Sharman, Jim (1975). The Rocky Horror Picture Show. 20th Century Fox.